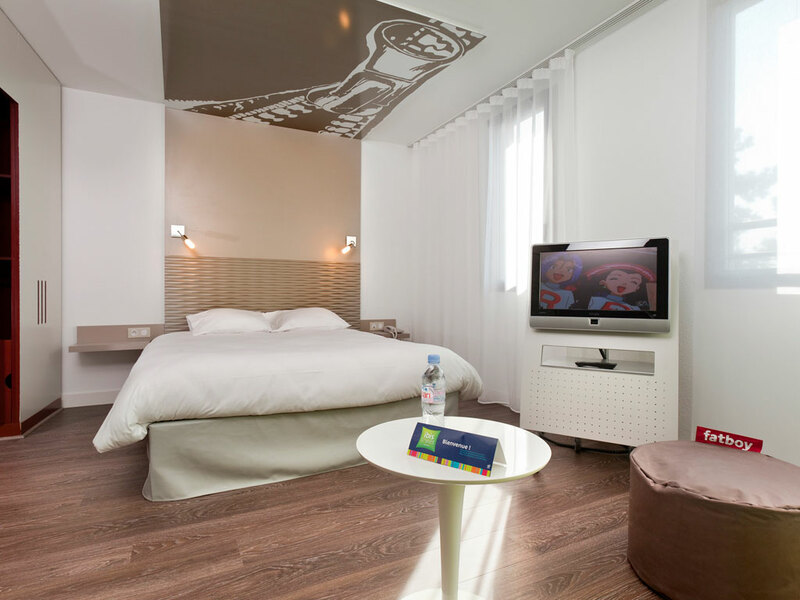 Breakfast + unlimited WIFI included in all rates at the 3-star ibis Styles Lille Aéroport hotel. The hotel has 73 very spacious and modern rooms measuring 323 sq. ft. (30 m²) with air conditioning, perfectly suited for business trips or family stays. Ideally located 2 minutes from Lille airport with a shuttle service between 5:30 am and 10 pm (except weekends and public holidays). Close to the A1, you are 10 minutes from downtown Lille and the Stade Pierre Mauroy. Bar, dining options and free car park. Warm, welcoming and modern, with a comfortable bed and a renovated bathroom, our rooms offer everything you need for an enjoyable stay.